Data loss happens. Hardware malfunctions during firmware updates, someone fat-fingers a configuration, your server room was dampened by a leaky pipe. The list goes on. 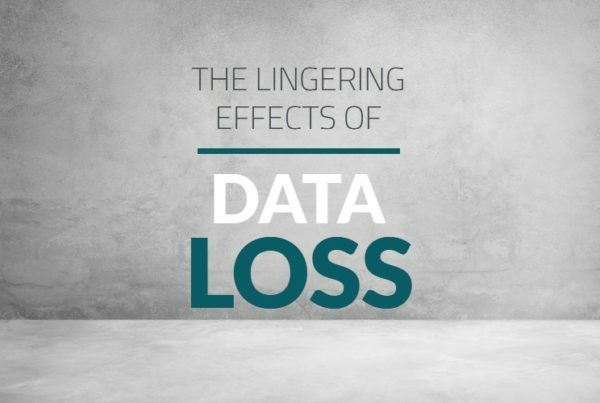 No matter the reason, with a legacy VM backup solution, you’re risking losing your data forever. Legacy VM backup solutions for the old world of bare metal servers or purpose-optimized virtualized environments cannot keep up with the demands of OpenStack. 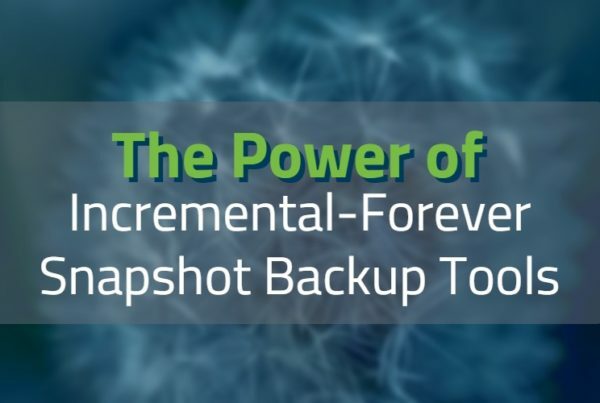 By force-fitting an outdated approach onto a modern cloud, companies realizing the importance of backup capabilities must settle for disruptive, agent-based solutions that lack self-service, multi-tenancy, and only store data in proprietary formats that require their tools to unlock. Often, normal day-to-day changes in the cloud environment require extensive, ongoing manual intervention just to keep records current and functional. You need to be able to go back to a specific point in time, and to quickly and reliably restore your entire workload to the last-best-known state. A cloud native backup solution that has been built specifically for OpenStack clouds not only enhance performance, but also reduce time spent on management activities. This makes data easier to backup, and thus easier to restore. Want to restore entire cloud workloads in the click of a button? Legacy VM data protection solutions don’t provide multi-tenancy. To give every tenant full data protection capabilities without the ability to see backups from a different tenant, the OpenStack provider or the tenant themselves need to contain the complete data protection architecture (including the media server) inside the tenant — utilizing expensive OpenStack resources while they do so. Additionally, all of these media servers need to be managed, which is a burden on the backup administrators.That quickly becomes unmanageable. TrilioVault allows tenants to take full control of their backup policies, dynamically testing and reusing their copies all the way to restoring production — completely on their own. Each tenant has the ability to create, configure, and restore backups of their own workloads without relying on a central IT administrator. 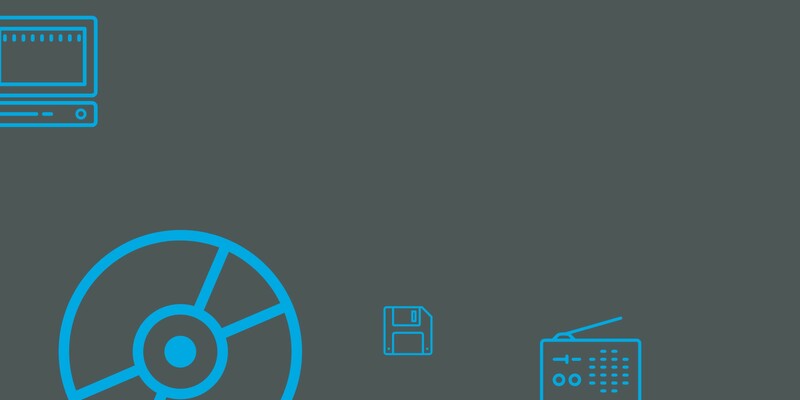 Legacy VM data protection solutions rely on agents that are installed on the machines that need to be protected. These agents have to reach and be reached by their central data protection server in order for backups to occur. TrilioVault is agentless and does not rely on any agent inside the machine. Instead, it uses native OpenStack APIs and TrilioVault Data Movers as part of the compute node, which do not require additional servers or resources. Legacy VM data protection solutions rely on a central backup administrator who is informed when a machine needs to be protected/restored. The backup administrator then owns and performs all of the necessary tasks to create a backup/restore job. Typically, those backup administrators have a lot on their plate, so it takes days to weeks before a task is complete. TrilioVault provides all of its capabilities in an easy-to-use self-service interface, whether it’s via Horizon, CLI, or OpenStack APIs. The TrilioVault dashboard is a plugin to the OpenStack Horizon dashboard to provide a management GUI. In line with the seamless OpenStack design, tenants and cloud administrators automatically view different built-in tabs, providing them with full control of the data protection of his or her tenant space without the need for a backup administrator in the middle. Backups from legacy solutions are incomplete as they only capture files, databases, VMs,or data volumes. So when you apply this legacy VM backup solution to your cloud — with applications distributed among multiple VMs — you simply won’t be able to capture all of the critical configuration data associated with those VMs. TrilioVault snapshots capture entire workloads, including applications, VMs, operating system, networks, and more. Legacy data protection solutions often require significant downtime in order to perform updates or take snapshots of the OpenStack storage volumes. 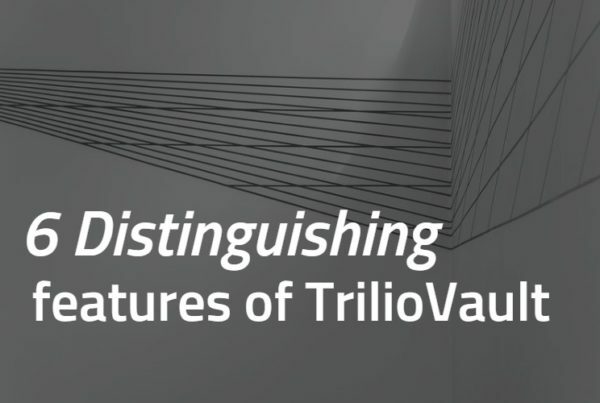 TrilioVault is non-disruptive by design – during both deployment and execution of software. TrilioVault deployment is performed live with no impact to cloud operations. Tenants are unaware of the process and can start using TrilioVault as soon as it is deployed. Legacy VM backup solutions store your backups in their own proprietary formats, which are easy enough to store away on a remote server as a literal “back up plan”… but if you need to recover from proprietary formats or just manage them, you will need to have valid license(s). Forever. TrilioVault backups are all stored in an open QCOW2 format, so you are not reliant on vendor solutions to use and restore backups. TrilioVault is also storage target agnostic, so you can back up via NFS, Ceph, or S3 regardless of whether it’s on-premises or in a public cloud. Legacy data protection solutions are designed to scale up. To protect 100 more machines, you must upgrade to the next bigger version or the protected environment will need to be divided into multiple protection islands. This means that the growth of your OpenStack environment will be limited by the architecture of legacy data protection solutions. TrilioVault is infinitely scalable with zero performance degradation. It utilizes scale-out architecture by adding service components that match the growth of the OpenStack environment that needs to be protected. This allows the environment to grow as needed, without having to consider data protection limits while planning your deployment. Legacy VM backup solutions often lack DevOps integration. They add tasks outside of your existing processing every time you deploy a new cloud, scale a cloud, or upgrade your cloud. TrilioVault integrates with your existing cloud lifecycle management to automate deployment via Ansible, Puppet, Salt, and Chef. Legacy data protection solutions are not designed to capture any information beyond the actual volume data of a machine, meaning those solutions are not able to identify which Nova flavor was used to spin up the machine, to which network it was connected, and so on. As a result, the restore of any machine is a tedious task; all of the information needed about a machine inside OpenStack must be gathered and pieced together before the restore can be done, typically using spreadsheets and manual tracking. TrilioVault was designed as a native OpenStack service to provide self-service, policy-based cloud data protection. It captures point-in-time application data from block storage (Cinder), along with complete OpenStack configuration data. This allows tenants to seamlessly recover, reuse, and relocate entire workloads with just one click. Legacy backup tools put your workload data at risk. Download this comparison guide to learn how a natively integrated solution can help reduce your RTO.